Isn’t it every dad’s dream to someday play in a band with his son? I know I often think about how cool it would be to have my son playing drums to some little ditty I wrote over a cup of coffee at the kitchen table. And it wouldn’t have to be my son. One of my daughters rocking the Rickenbacker bass as I strum some indie rock trash on my out-of-tune Fender would be this Papa’s dream, really. Well, as much as us dad rockers like to dream about the family band scenarios it rarely happens. In Jeff Tweedy’s case though he’s living the dream. And not only did he make a record with his son Spencer on drums, but it’s a damn great record. 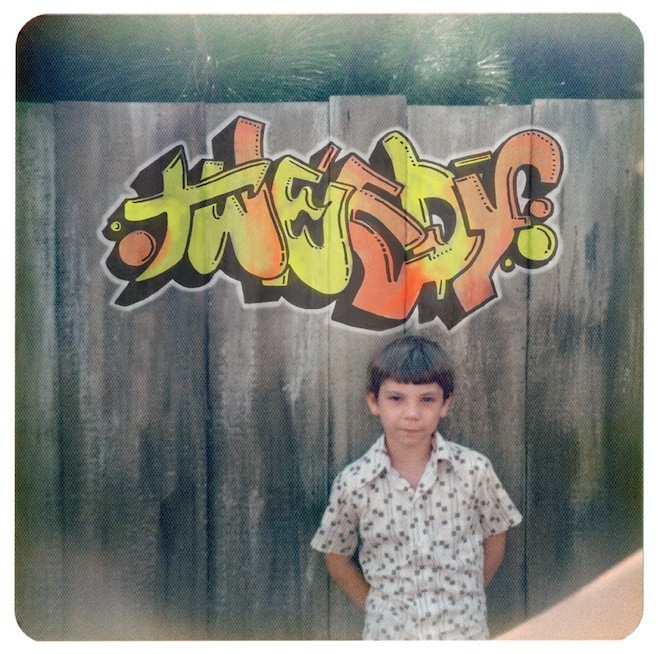 It’s the best album Jeff Tweedy has made in ten years, if you want to know the truth. You didn’t? Well too bad. Sukierae is a sprawling double album that goes from Deerhoof experimentalism, to pop giddiness, to lulling acoustic tracks, all before you get to side C. In other words, Tweedy has made the White Album for the modern age. Most of the time dad and son will buy some flowers, a box of chocolates, and a Hallmark expression of adoration when wanting to do something special for mom. In the Tweedy household they hole up in a loft and make a double album and name it after mom affectionately. Sukierae is a love letter to Sue Tweedy, as well as being a chance for father and son to bond over what they love. Most fathers and sons would rebuild an engine, or remodel a kitchen. But for Jeff Tweedy and son Spencer they bond over rock ‘n roll, and rock they do. “Please Don’t Let Me Be So Misunderstood” barrels out of the speakers with a snarl and a vitriol not heard from Mr. Tweedy in a very long time. “High As Hello” is simple by design but becomes something cooler, sleeker as the song rolls along. “World Away” sounds like something that would’ve fit nicely on an early solo Lennon album. It’s got a hell of a groove with Tweedy sounding looser than he has in a while. Sonically this record goes back to A Ghost Is Born with its dry, natural feel. It’s sparse without sounding thin. “Low Key” is a piece of folksy pop bliss and benefits greatly from the pared down arrangement and some excellent background vocals. “Pigeons” is an acoustic track that shows there’s nothing more powerful in Jeff Tweedy’s arsenal than simply an acoustic guitar. But there’s also plenty of experimental sounds coming out of the speakers. “I’ll Sing It” is a rocking track that falls apart into noise and buzz before going into an almost “Dear Prudence” crescendo at the end. “Flowering” has a little of The Band in it’s slightly funky rhythm courtesy of Spencer’s Levon Helm-leaning drums and some great bass courtesy of Papa Tweedy. It’s great hearing Jeff back on the bass as well. He’s a natural rhythm man. “Desert Bell” is a pretty country-ish waltz that Willie Nelson would be proud to call his own, while “Summer Noon” is the closest we come to hearing what these songs would’ve sounded like being recorded by the whole Wilco crew. You know, every song on Sukierae is perfect, but I’d be remiss if I didn’t mention closing track “I’ll Never Know”. It’s a beautiful, haunting track that I listened to three times in a row the first time I heard it. “I remember the room with the TV on/And you sitting asleep before you were gone”, Tweedy sings over a simple acoustic and piano. For me, this song has the power of a song like “She’s A Jar”, or “Jesus, Etc”. It’s a gut punch of an ending to a hell of an album. Whether it’s a love letter to a wife and a mom, or a father and son bonding session, one thing’s for sure: Sukierae is a sprawling masterpiece. It’s also a welcome return one of our finest songwriters. Sounds great, l love the family idea too. His son is an amazing drummer, and at only 18 years old no less.